Posted July 29, 2015 by Rob Smedley & filed under Soundtracks. Cynthia Coffin is propping up the bar at the Royal Simla Club, there’s a steaming train stopped on the tracks just outside the Himalayan town of Simla, and Academy Award winner Stephen Warbeck’s soundtrack is sinuously moving through the heat, the passion, and the secrets of Indian Summers. 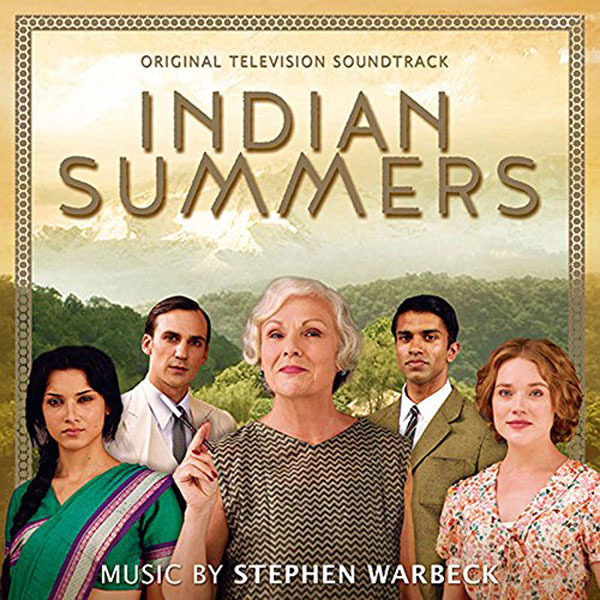 Reflecting the characters of Channel 4’s ten-part drama, there’s a multicultural blend of sounds to the Indian Summers soundtrack. With relatively few instruments – many of which are native to, or audibly synonymous with India – Warbeck (who has over 100 composer credits to his name) captures both the jaded hedonism of The Raj in the early 20th century and the exoticism of a land far older and more exciting than the Colonial grip. Pared down pieces such as solo piano of ‘Alice’ or the starched Merchant Ivory feel of ‘The Dance and The Kiss’ are pushed up against the lush, perspiring beats of tracks like ‘The Beginning’ and ‘The End’, giving the album a varied topography of sound, much of which feels authentic. Warbeck has managed to capture the sounds of a country and culture without every veering near cliché. That said, as with many television OSTs, there’s nothing show-stopping here. It’s music that was respectful to the drama it accompanied and which, if you watched Indian Summers, you’ll know made a great job of it. Listening to it in the wake of the show (and before next year’s second season) there’s a pleasure, but also a sense that there’s nothing engaging enough to bring you back too often. It’s a fine album, and Warbeck deserves praise for his work, but its listening lifespan will undoubtably be tailored to how much you love the show it emerged from. Released on 29 June 2015 by Silva Screen.